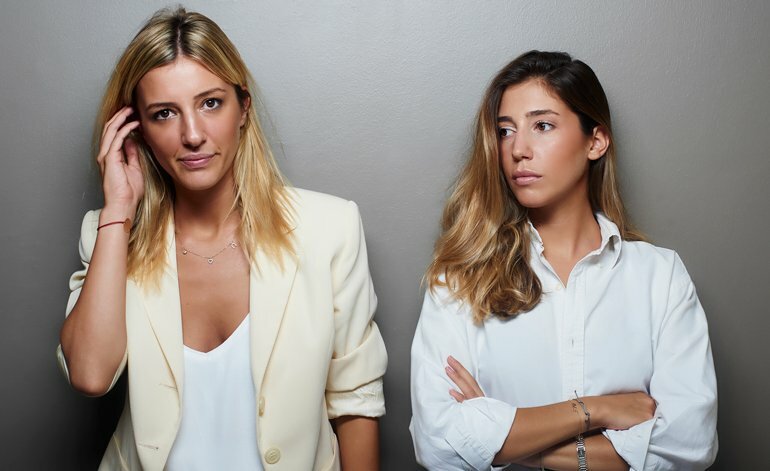 Bio: Beste and Merve Manastır, as the co-founders of the brand and the daughters of one of the oldest handcraftsman and leather goods manufacturer in Istanbul, Turkey; have launched MANU Atelier in February 2014 under the umbrella of “Yeşim Çanta” which was established in 1976. CT: Girls – tell me a little bit more about your history and your brand concept? Our father was drawing all the time when we were child. We do even remember the times suddenly he takes out a piece of paper out of his pocket and starts to draw wherever he is. We have spent lots of time in his studio. Sometimes we wait for our own bags to be finished by standing over. Or he was bringing the bags he made for us directly to home. We have always believed in our his both artisan and design skills and wanted to be the bridge that opens his talent to the world. It has been our main wish even before we explored our own passion to what we do. So, the idea of Manu Atelier had been around for a long time but it became a business plan after Merve’s graduation. First, we’ve decided to gain experience and assisted another designer to launch her leather accessories collection. Then we’ve worked on it one and a half year before we launched it. We didn’t want to wait more cause we also believed that there was a gap in the market in terms of really exclusively made and thought products for more inclusive prices. And as living in a country of leather and leather goods production and having our own atelier in our homeland we would be able to give those prices to the people. So we gave it a go. CT: Where did the name Manu Atelier come from? The name Manu comes from ‘manufacturing’ , also in Latin, it means ‘hand, handmade’. Atelier, because although we sell in 45 top locations all around the world, we still cut our bags in our atelier. CT: Your designs are notable and unique – how does your design concept change from season to season while maintaining the brand DNA? We wanted them to be compatible with today’s world and we wanted them to be different. Your accessory should speak for you but not louder than you. It must be light and safe. Our all designs are handcut and it makes all of them really pristine.. You can use them by day and you can use it by night. You can wear them with jeans and you can wear them with skirts. Can be combined both with your heels and sneakers. Although it doesn’t scream to your face, it catches the eye. When we add newness to our collections from season to season, we always try to stay with these thoughts. Yet still so affordable for the ‘it’ bag! As we mentioned on above, when we launch our brand, one of the main ideas was giving affordable prices to the people who are looking for functionality and quality on a bag. So we do not want to contradict with this idea from the beginning, when we grow up. 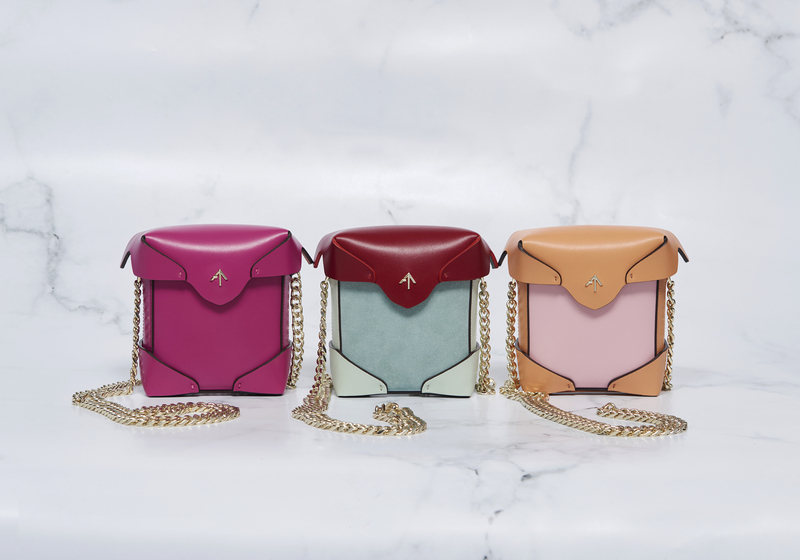 CT: What would you both say makes the Manu Atelier brand stand out in the market? We do really give importance to our designs to be distinctive and thoughtful as well as our colors. We work through on our colorways every season in detail. We might be an accessories label but we present some real values with our brand and try to stick with them and reflect them with our products and our brand strategy. Keeping our authenticity is very important for us. We are an inclusive brand with really exclusive products and reasonable price tags. CT: What details from your Turkish background do you carry into the bag designs? Growing up in the middle of Europe, Asia and the Middle East, experiencing so many different cultures even in your family and your close social circle while growing up experiencing so many different aesthetics in the city of Istanbul… It thought us the beauty of the diversity in every way. We believe this is engraved in our creative vision which forms the core of our designs. CT: Tell me more about Spring 2018? We added two more styles to our SS18 collection. Triangle North Tote and Zeal. Triangle is totally a new model. Zeal is the one from our first designs but improved version of it. Also, it is the most colourful and vivid collection that has ever been by now. CT: Sarah Jessica Parker was recently carrying one of your designs – how did that feel? It was definitely a breathtaking moment when we see the shots first, because she is one of the most important idols of our time. Her style will be a cult always for many generations. And to be part her style with our design is a true pleasure. Literally, “A dream come true” moment for the whole Manu Atelier team. CT: What is next for the business? We are planing to introduce new shapes and other surprises for the upcoming seasons while we keep on working to create a solid international brand. This entry was posted in Interviews and tagged Interview, Manu Atelier, Sarah Jessica Parker. Bookmark the permalink.